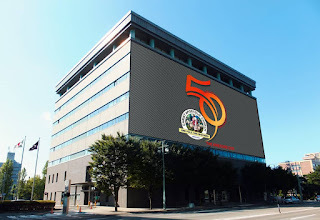 Christ Apostolic Church, Somolu Olaleye DCC Headquarters has unveiled official emblem for her 50th anniversary. 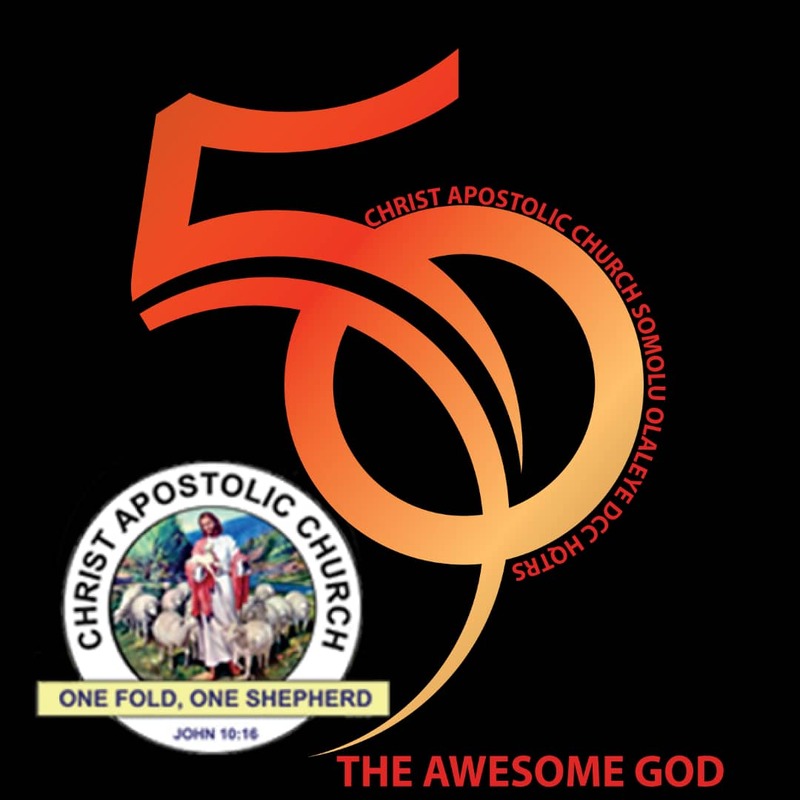 As part of her celebration for the forth coming Golden Jubilee celebration of the church which commences from the 16th of December through 23rd of December, the Publicity crew of the church has revealed the official emblem of the program. This emblem clearly depicts the figure 50 that indicates the years of establishment of the church with the name of the church clearly written around it. 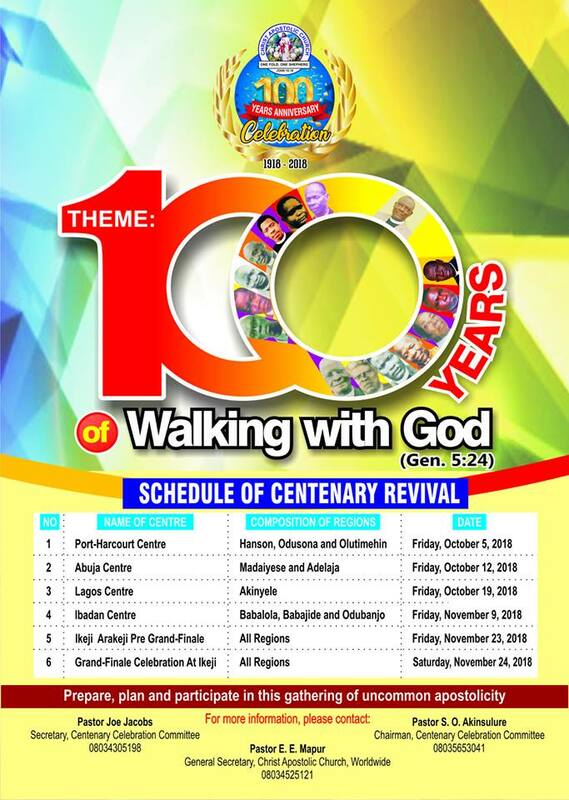 The theme for the program- THE AWESOME GOD is also vividly outlined at the bottom left of the design while the Christ Apostolic Church Worldwide logo is clearly also indicated on it. Responding to the beauty of this design, the DCC Superintendent, Pastor Joseph Akinyomi said; “this is the best logo for the anniversary as it clearly shows God’s awesomeness to us over the last 50 years”. Also commending the great art work was the Head of the church Publicity Crew, Evang. 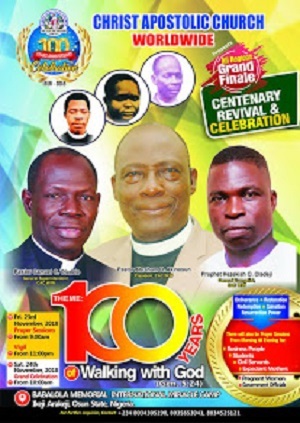 Adebayo Folorunso, in his words, “this is fantastic and will possibly add some sunlight to the golden jubilee celebration”.